Dasuki is facing trial at an Abuja Division of the Federal High Court for alleged illegal possession of firearms among other charges. In a response, the prosecution counsel, Dipo Okpeseyi asked the court to order the continuation of Dasuki’s trial in absentia. Okpeseyi argued that the cases for which Dasuki has been denied bail are independent of the instant case and described the defendant’s action as an affront to the court. Okpeseyi, a Senior Advocate of Nigeria, said the prosecution was ready to proceed with the trial, but by his action, “Mr Dasuki has again forestalled the day’s hearing session. This is not the first time. He did it in January and in April,” Okpeseyi said. 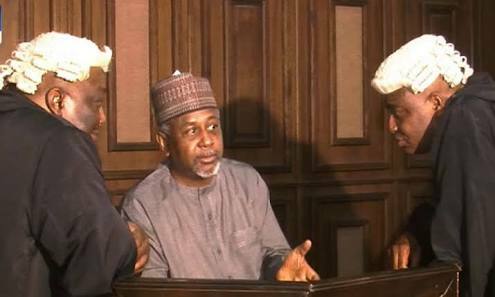 In a short ruling, Mohammed said the court will not grant the request by the prosecution to proceed with Dasuki’s trial in absentia, unless the prosecution depose to an affidavit accusing the defence of wilfully avoiding the court, PT reports. The court adjourned the matter to November 19.